Suitable for groups, families, the young and the older. 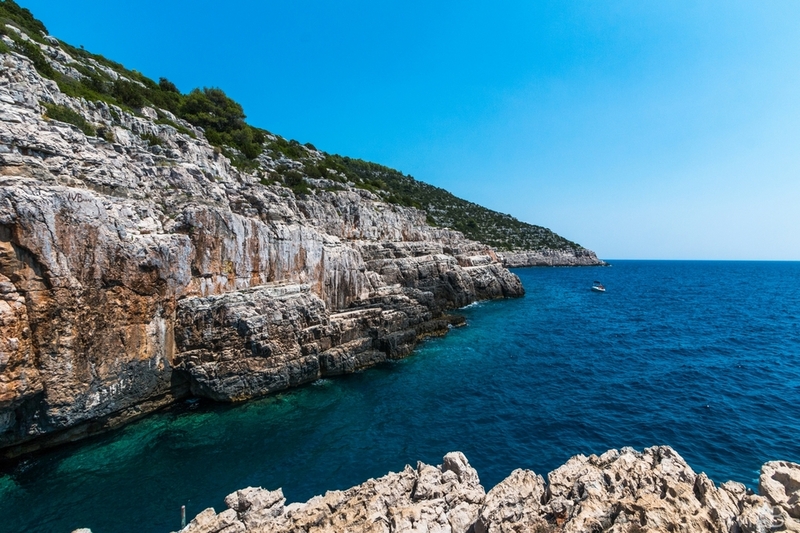 Do not miss the perfect opportunity to get to know the island of Mljet, its history and legends associated with Odysseus and the Odysseus cave. On the journey to Babino Polje, which lasts for thirty minutes, we will through the beautiful nature, passing by the small picturesque villages rich in history. 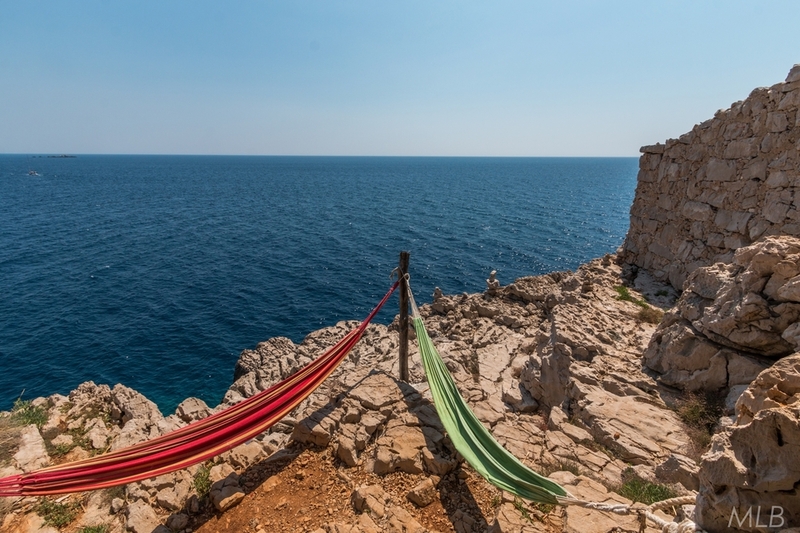 This is a unique opportunity to get to know the magical island of Mljet. After leaving by the minibus from the port of Pomena and driving for thirty minutes through the thick pine forest of the National Park, you reach the largest settlement on the island of Mljet, Babino Polje. Then, there is a twenty minute walk through the vineyards and olive groves to the famous Odysseus cave. After sightseeing, you can swim in the crystal blue sea. 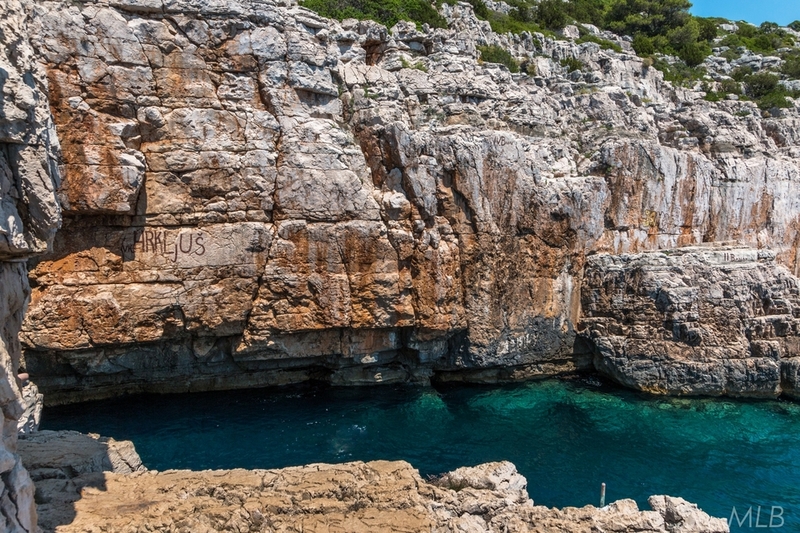 The Odysseus cave is located on the south side of the island of Mljet, near the village of Babino Polje, it is egg- shaped twenty meters in diameter and fifty meters in height. Its vault is collapsed and that’s why it was named the Cave. The sea penetrated through the limestone layers and a tunnel was formed so one can enter the cave from the sea swimming during the calm sea. The entrance from the sea is 5 meters wide and above the sea level is only 1 to 1.5 meters, the length of the tunnel is about 20 meters. Inland access is possible with very steep improvised stairs. According to the legend, the Odysseus cave is a place where Odysseus, after a shipwreck on a nearby cliff Ogiran, drifted to a cave where he hid from turbulent seas.The goddess of the beauty nymph Kalipso ruled the island then and Odysseus succumbed to the charms of her irresistible beauty as well as the beauty of the island and was “captured” there for seven years, until he was released by Zeus’s order. The Odysseus cave was once a natural habitat of the Mediterranean Monk Seal, one of the rarest mammal in the world.